It’s a Handmade Holiday Special! 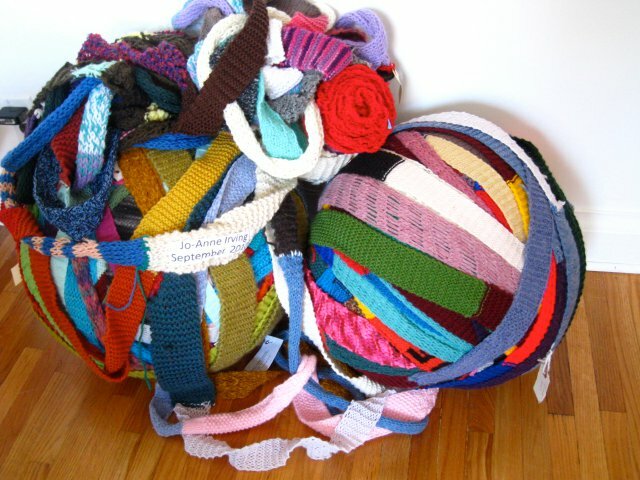 The "Knit the Bridge" Giant Ball of Yarn courtesy Jennifer Smith & Kristen Nelson (and over 117 other local knitters)will be installed in the theatre lobby! TPM is getting crafty with our Holiday Special themed In the Chamber! To compliment the performance on stage, we’ve invited local artists to display and sell their handmade creations in the lobby. There will be a variety of items, from original gift cards & writing journals to hand printed t-shirts, beautiful felted creatures & hand sewn monsters! Expect a little cheekiness and a lot of talent! So arrive early and bring cash! We’ll even have hand stamped wrapping paper and an elf or two to tie up your packages. Oh…did we mention the photo booth? !